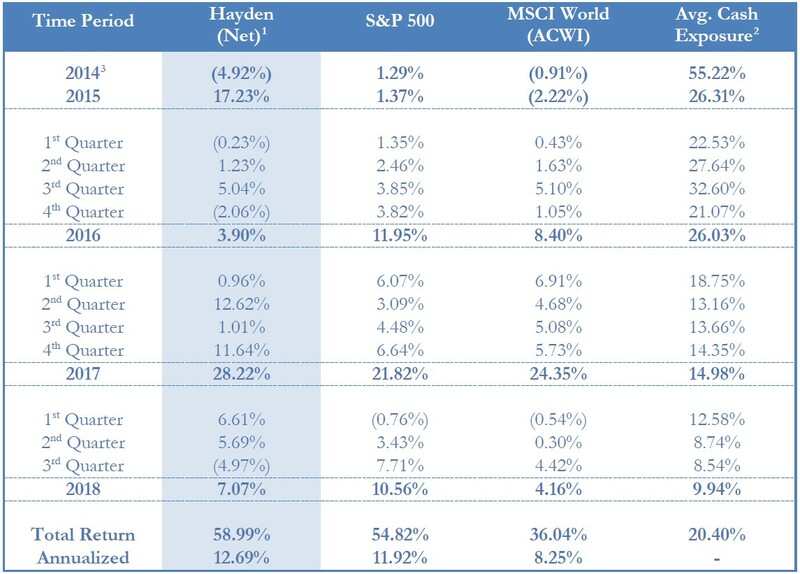 Hayden Capital commentary for the third quarter ended September 30, 2018. Volatility is back. As I mentioned last quarter, Chinese A-share markets have been declining steadily throughout the year, as US-China trade tensions have impacted sentiment. The Shanghai Composite is down -30% from its January high, and the broader MSCI Emerging Markets Index is also down -25%. The US equity markets, which had largely shrugged this off earlier in the year, finally succumbed in the last few weeks. 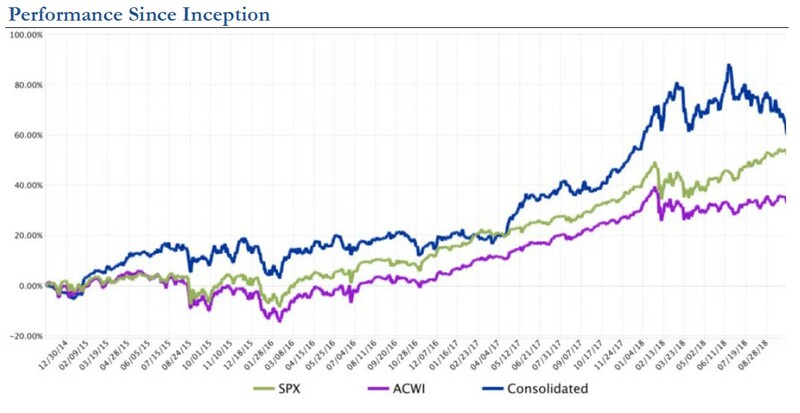 As of this writing, the S&P 500 has largely given up much of its year-to-date gains, in just the few weeks after the end of the third quarter.